A huge 1km-wide asteroid is hurtling towards Earth, prompting astronomers to label it “potentially hazardous”. But don’t pack for Mars just yet – the giant space rock, ‘2014 JO25’, is expected to pass by our planet safely. According to NASA the encounter on April 19 will be the closest the asteroid comes to Earth in 400 years, and no projected future encounters will be as close for at least another 480 years. However, another fly-by is expected in 2091 and the space rock also makes regular close approaches to Mercury and Venus. 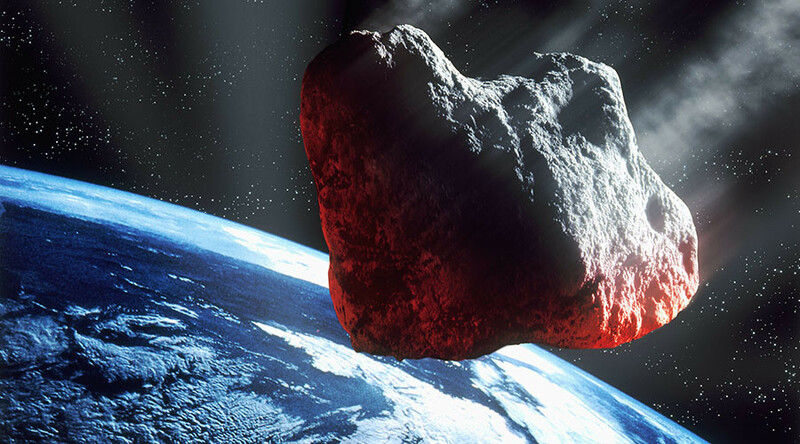 An asteroid of this size won't have as close an encounter with Earth for more than 10 years. "The next known flyby by an object with a comparable or larger diameter will occur when 800-meter-diameter asteroid ‘1999 AN10’ approaches within one lunar distance in August 2027," NASA said. The asteroid was discovered by the Mt. Lemmon Survey in May 2014. Astronomers describe it as a “bright object” and believe it will be among the best targets for radar observations this year. Despite 2014 JO25’s designation as a PHA, projections predict it will pass by Earth at a safe distance of about 1.8 million km (4.57 lunar distances). Two other big asteroids, ‘2003 BD44’ and ‘1999 CU3’, which are both nearly 2km wide, will also pass by our planet shortly, however they won’t come as close as 2014. Astrowatch report 1,781 PHAs were detected on Sunday, however – happily – none of them is on a projected collision course with Earth.